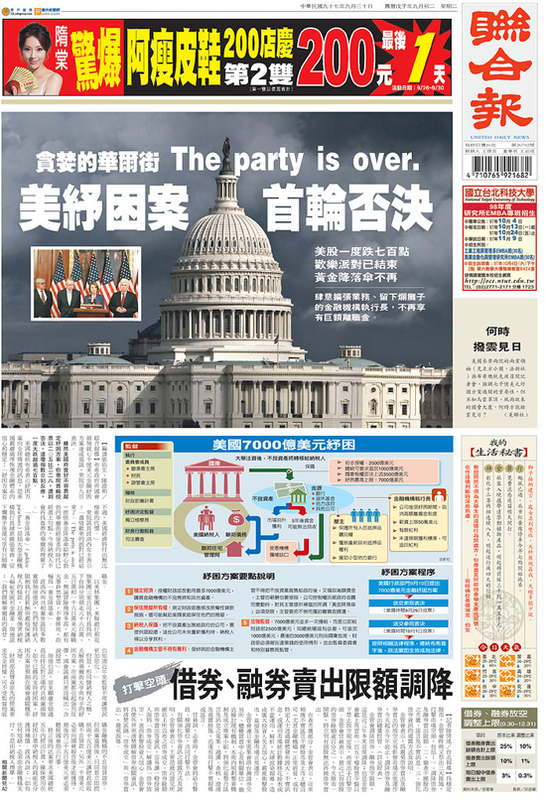 Above: United Daily News, from Taipei, Taiwan. Check in with Newseum daily. For more, the NYTimes has an informative interactive review of these past few weeks of falling arrows. Der Spiegel (English version) has a good overview of the escalating fallout in Europe. This entry was posted by Erik Brandt on Tuesday, September 30th, 2008 at 8:43 AM	and is filed under Aktuell, Education, Globalization, Graphic Design, International, Interviews, News Links, Typografika, Typography.